President Moon Jae-in on Thursday unveiled a new policy aimed at boosting ties with Southeast Asia, saying, "My goal is to enhance South Korea's relations with ASEAN to the same level as that with our four major powers around the Korean Peninsula." 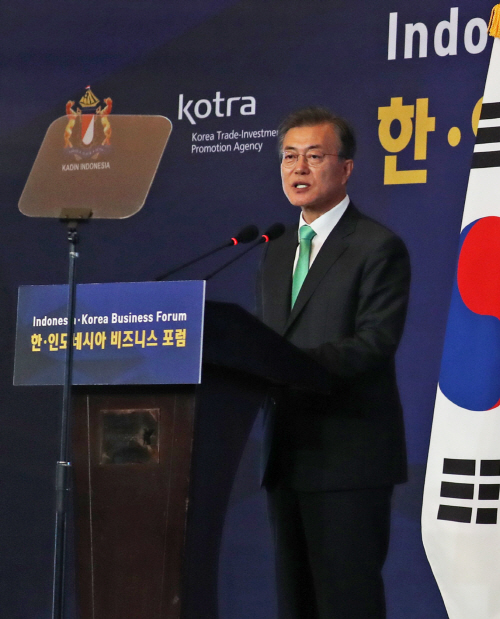 In a keynote address to the Indonesia-Korea Business Forum held at the Ritz-Carlton Hotel in Jakarta, President Moon said, "To this end, the South Korean government will actively seek its New Southern Policy to greatly develop its cooperative relationship with ASEAN." "From trade-oriented relations, we'd like to expand the scope of the relations with technology, culture and arts, and personnel exchanges," he said. "We should be able to strengthen our cooperation in areas that are most needed by ASEAN countries, including transportation, energy, water management and smart information technology. Personnel exchanges linking the lives of the people will be a strong basis for supporting all kinds of cooperation." Moon has unveiled the 3P approach - cooperation on 'people', 'prosperity' and 'peace' - as being the basis of the New Southern Policy. He stressed his hopes to make a joint community together for peace and prosperity through exchanges and interactions of human resources as well as security and economic cooperation. Moon, who visited Indonesia first among the 10 ASEAN countries, also presented 6 plans for economic cooperation between South Korea and Indonesia. "We will restore and vitalize the framework of economic cooperation between the two countries," he said. 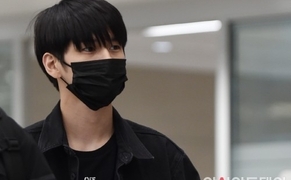 "First, we will reorganize Korea-Indonesia Economic Cooperation Committee, Korea-Indonesia Small and Medium Business Joint Committee and other economic councils where the ministers of both countries participate, and will revitalize the exchanges between the two economic ministries." "We hope to move beyond the manufacturing and resources development areas and expand our cooperation to strategic areas, such as Fourth Industrial Revolution-related sectors, defense, environmental industries, transportation and healthcare," he said. Moon stressed that through these plans, he plans to increase the bilateral trade volume to $30 billion by 2022, and in the long run to $50 billion.